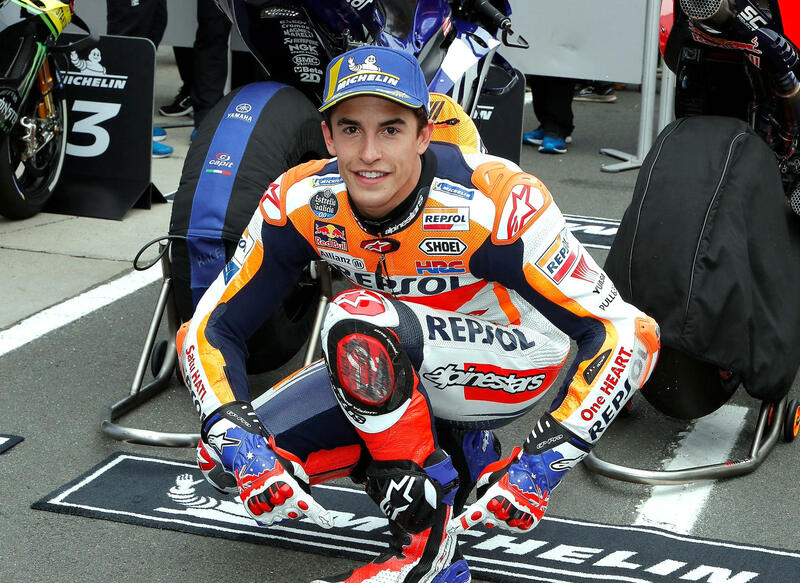 Newly crowned champ Marc Marquez (Honda) took his fifth straight pole position at Phillip Island earlier today. Light rain caused the riders to exercise caution in Q2 at the high speed track, as Yamaha showed strength from riders Maverick Viñales and Johann Zarco, who will join Marquez on the front row for tomorrow’s race. Several riders are showing similar pace, and tomorrow should be exciting as a result. what is he pointing at? are his boots & gloves Stoner copies? or just an Aussie design…? Mick Doohan replica boots and gloves, for this event. His level of respect for other riders. With Vinales and Zarco 2nd, 3rd, why Rossi is sitting in 7th? There must be something, that is holding him back, and when they finally understand what it is, I think he will come back strong. Must have something to do with Rossi personally. The bike has no bearing on it. Have you thought about becoming a team manager? Keen insight. Just being a little facetious there joe b. He’s the one that said it. Remember the falling out with Honda? The bike has nothing to do with his success. Rossi’s time at Ducati (and many others during those years) serves as strong evidence to the contrary.. Though Márquez having the only Honda in the top 13 is also something curious. It was almost raining. Some guys got a lap in others hesitated.